I'm posting up a feeler to see if anyone is interested in my 2001 S either for parts or to use as a track car or if I should continue with my plans to swap the engine and transmission into my base. Everything runs great, I just don't have the space and time to do it myself any more. It is a flood car from FL with a FL certificate of destruction, so you won't be registering this car for road use. It has about 130k miles on the clock. When I received the car it did not have keys. I purchased a replacement key/cylinder/immobilizer/ecu combo and replaced all of those electronics. The water in the car only got up high enough to nuke the immobilizer and screw up the power drivers seat. The car fired right up after I replaced the immobilizer and related components and inspected all the fluids to make sure they were still in good shape. I drove the car around for a few days to make sure the engine/clutch/transmission were working to my satisfaction before I put the car away to start planning my swap. 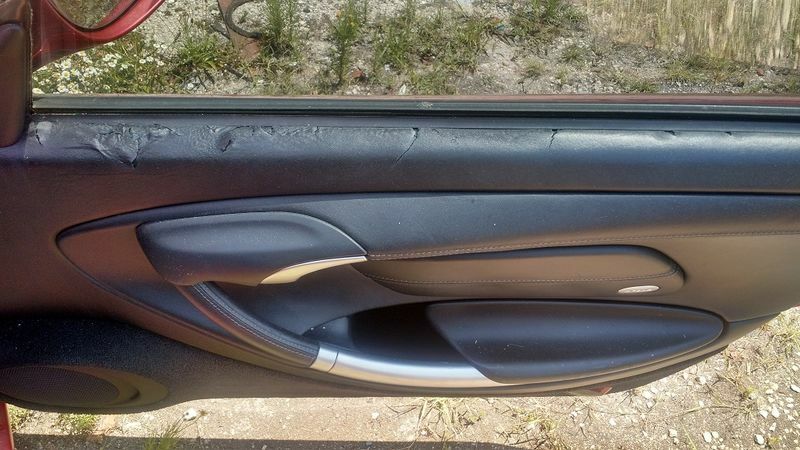 The car is Orient Red but the clear coat has failed majorly in many spots, so the paint should be considered bad. 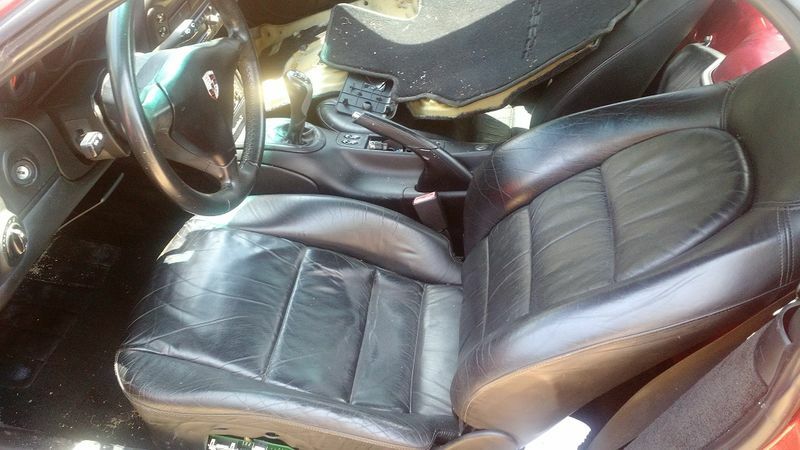 The black interior is all there and but is a little worn. No tears in the seats however. The driver's seat is currently stuck fully reclined. 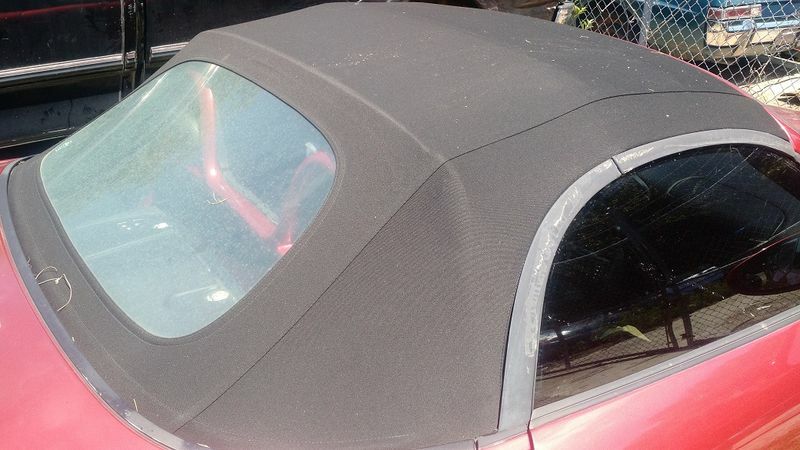 The top is black and looks like it has been replaced before as it is in very good shape. It is still a plastic window. The only things I've taken off the car so far are the wheels (it will come on 2001 17in base wheels with good continental tires) and the litronic headlights (it will come with regular 2001 base runny eggs). I can get pictures for anyone interested, but think of this as an engine and transmission that come with a free complete Boxster S.
Last edited by deathsled986; 10-16-2018 at 10:43 AM. Ewww racing... that doesn't sound like any fun at all. 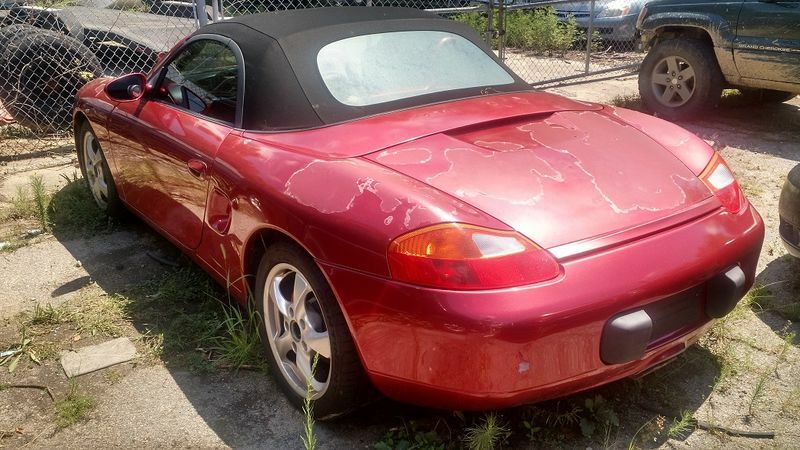 No offense but I've seen Boxsters with a few issues for 5k, that drive and are road legal. This looks like a rolling race chassis. 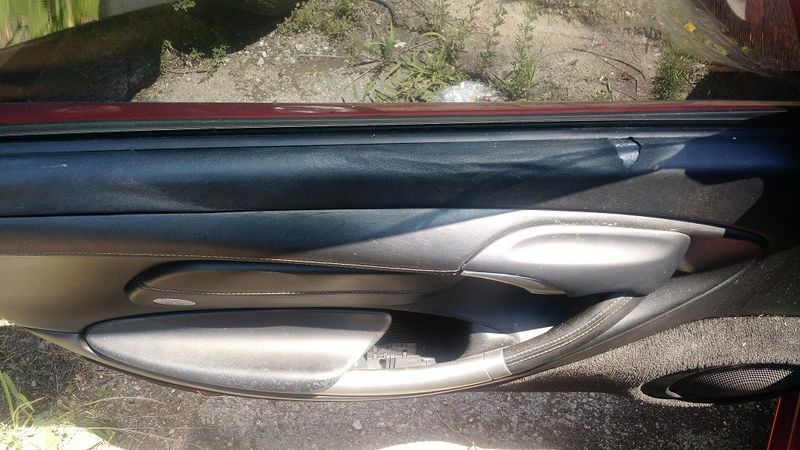 And if you got a running car in good shape, you could sell off stuff like the door panels and maybe body parts while yours are in poor condition at best. So that may be why its not selling. 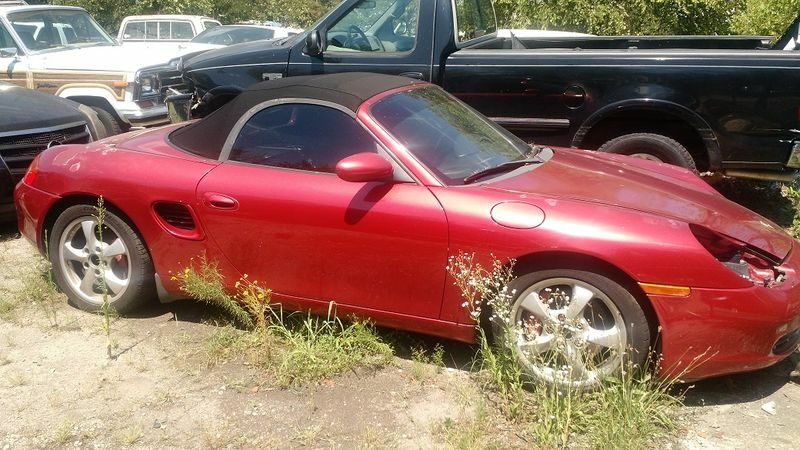 I for one may be more interested in just the engine and trans, but this is how Boxsters depreciate. As a sum of parts, it may be worth it for the calipers, engine, trans, etc but for someone wanting an LS swap, a race body can be had cheaper so this is like a lot of parts, you may want to consider selling it as a package of parts opposed to a 'car for sale' ya know? I hear ya. I was just tossing it out there. It can sit for as long as it likes and I might actually get around to S swapping my base. BUT! 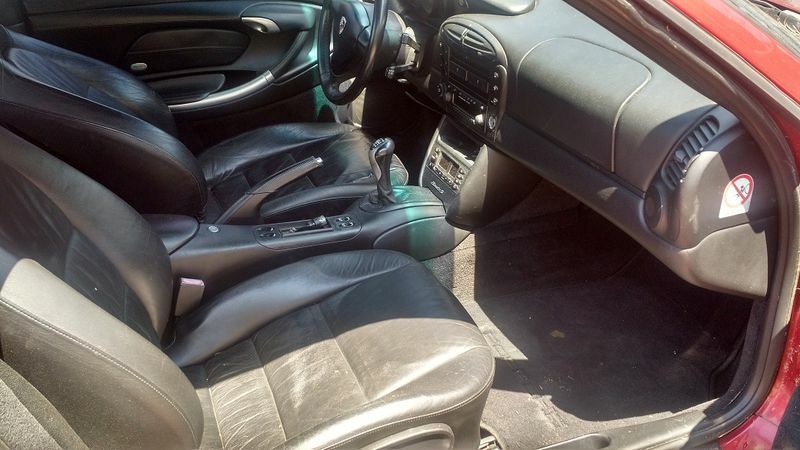 The car can be had for just a mere $4000 now! $3000 now. That's like an engine with a free transmission and all these extra S components lol. I've even got a replacement seat bottom and electronics for it now. Would you part with that steering wheel airbag? And, for how much with shipping to 92262? Thanks. You are welcome to arrange the cheapest shipper you want. Zip code 27603. I'll even drive it onto the trailer for them. I sent you a PM. No response. Please PM me back if you get this. I haven't received a pm yet.